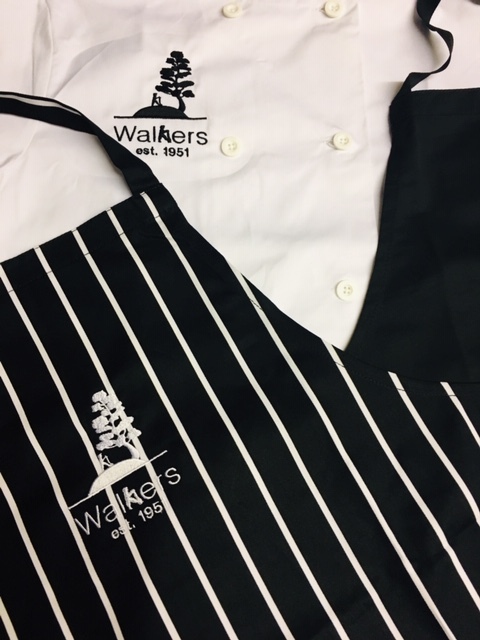 Premier Workwear PR110 Stripe apron in black and white. Also, PR656 Short Sleeved Chef’s Jacket in White. Furthermore, PR670 Women’s Short Sleeved Chef’s Jacket in White. Finally, PR553 Essential Chef’s trouser and PR155 3 pocket bar apron. 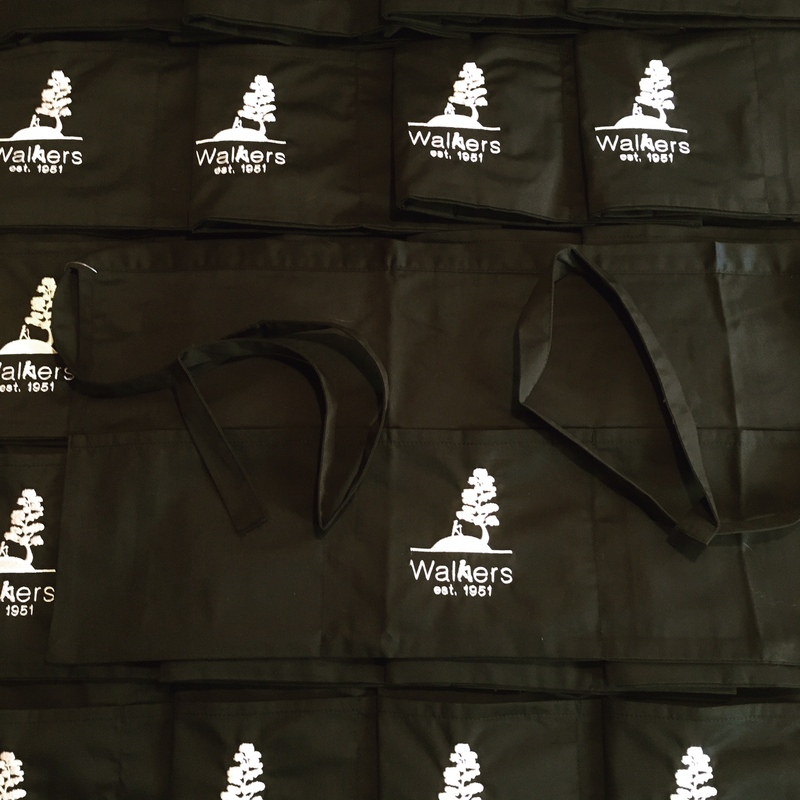 Walkers Nurseries logo embroidered to the front left chest on the jackets. 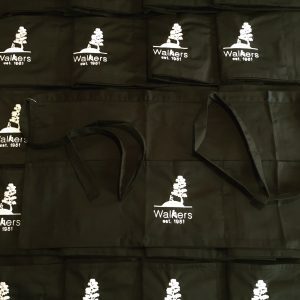 Also, embroidered logo to the front of the stripe aprons. Walkers Nurseries have a well established presence in Doncaster. More so now with their restaurant and coffee house it is becoming the place to socialize too.